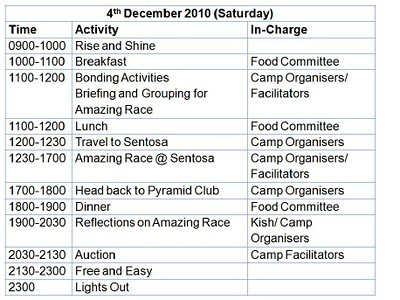 The highly anticipated GOR 2010 Dec Camp is in one week's time!! 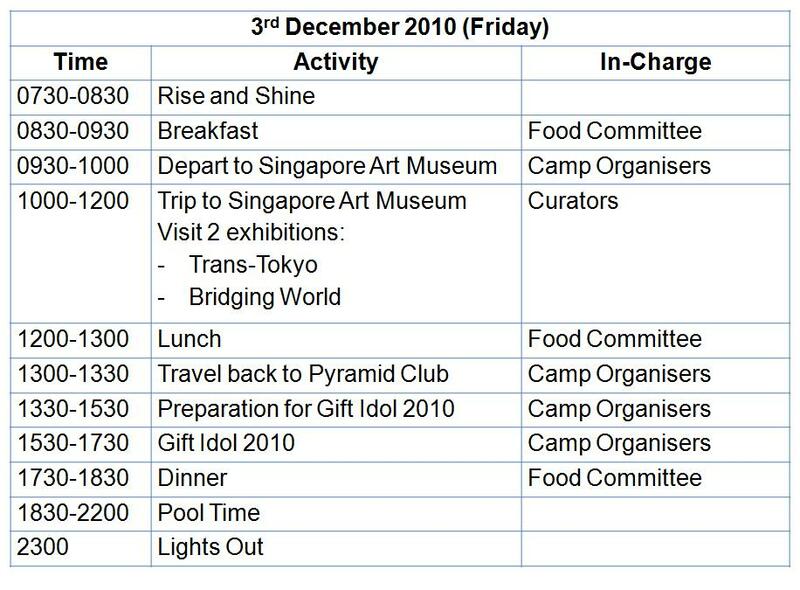 During the 4D3N camp, You will be treated to an awesome and enriching experience which will definitely be one of your most memorable life episodes in 2010. 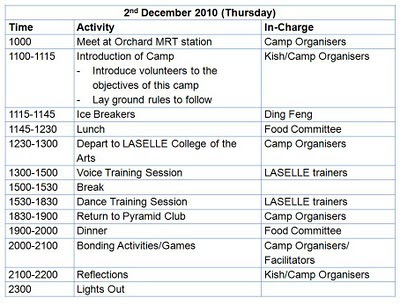 - Please meet at Orchard MRT on 2nd December 10am sharp. 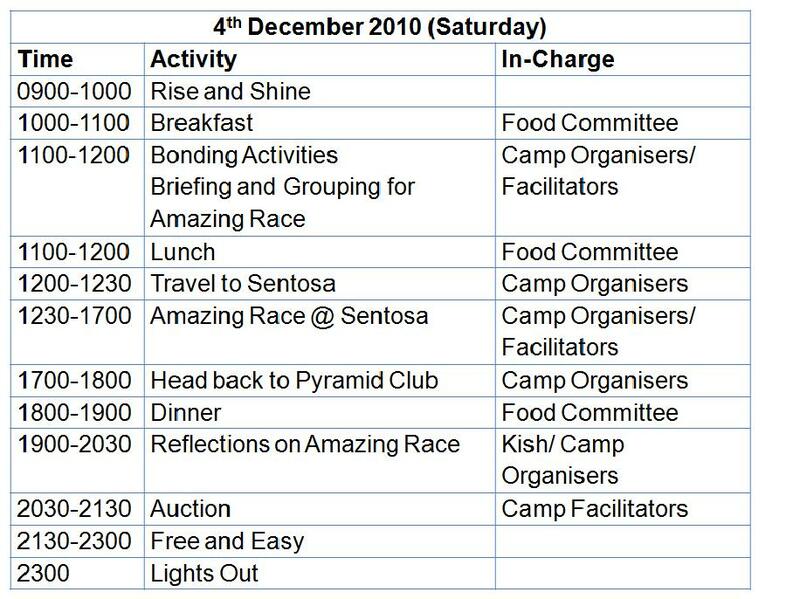 Camp organisers will be there to fetch volunteers to the Pyramid Club. - Please follow the packing list sent to your email. 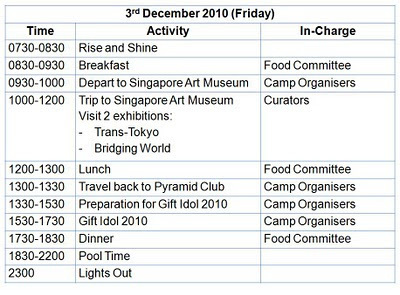 - A small reminder: There will be swimming on Day 2, please bring appropriate attire if you wish to go down to the pool. 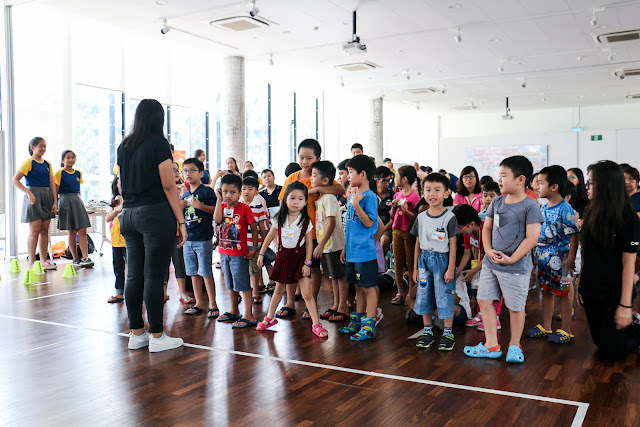 To let volunteers take ownership of gift through gaining a sense of commitment by learning why he or she is crucial to the success of the Gift of Reading Programme. Offer a plethora of opportunities for student volunteers to optimise their potential in different domains of character development - mainly cognitive, social and emotional and aesthetic domains. Hope to see all of you there! It is gonna be really fun and exciting!